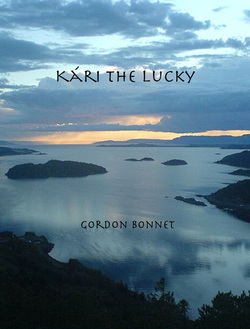 Gordon Bonnet is a writer (as well as a science teacher, scuba diver, and performing musician). 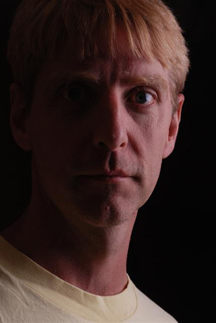 He writes fiction, usually with a paranormal twist, and most often set in the places he knows and loves - upstate New York, southern Louisiana, and the Pacific Northwest. As a reviewer put it: "If you're in the middle of one of Bonnet's stories, and you think you know where it's going, you can count on it - you're wrong." What if you knew the truth, but no one believed you? What if you hardly believed it yourself? This is the predicament that biologist Tyler Vaughan finds himself in when people start vanishing from the little town of Crooked Creek, Oregon. In the course of his research, Tyler has inadvertently captured on one of his thermal-imaging remote cameras a photograph of a creature known as Slender Man -- a faceless humanoid with long, thin arms and legs, whose presence is always associated with abductions, especially of children. The problem is, who will believe him? The Crooked Creek Chief of Police Dale Blodgett (short for "Wensleydale" -- his parents were fans of "Wallace & Gromit") certainly has no reason to, especially when the missing people return, apparently unscathed, and claiming to have no memory of what happened during their absence. Chief of Police Blodgett figures that if they're home, safe and sound, there's no reason to investigate further. Tyler has one person in his corner, however -- flower child and organic herbal tea maker Rainey Carrington, who realizes that the abducted children may not have returned as safe and sound as they seem to be. Plus, she's got a serious crush on Tyler. Together, can they put together the pieces of what's happening in Crooked Creek, and stop it... before one of them disappears, too? Ryan Linahan lived an ordinary life as a high school biology teacher, until Great-Uncle George Parker died. While helping his family to go through all of Great-Uncle George's belongings, Ryan discovered a box full of old letters that revealed that the Parker family had some serious skeletons in the closet - skeletons that were about to come back to life. 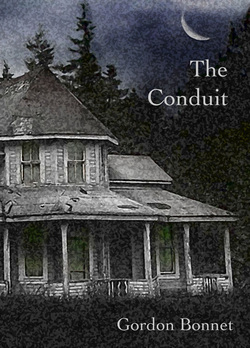 Upon finding a genealogical link between the Parkers and the Meadows and Fry families, who had left behind a legacy of dark reputation and ill will in the small, rural Pennsylvania village where they lived, Ryan becomes obsessed with finding out what it was his ancestors were actually guilty of. And his obsession leads him to become ensnared in events that, though they happened in the 19th century, are far from over, and in the end may reawaken evil that was thought to be dead and buried for over a century. Category 5 Hurricane Erika is bearing down on the town of Fausse Terre, Louisiana, and most of the residents have already boarded up their houses and fled to higher ground. Middle school music teacher Jay Morvant, however, has decided to ride out the storm, and he and the other folks who have stayed to face the hurricane in the Bayou Vista Apartments think it might be fun to throw a hurricane party. It’s an odd assortment of people. There’s elderly, devout Mrs. St. Pierre; the acid-tongued convenience store clerk Jennie Trahan; a young divorcée, Marie Ducharme, and her eight-year-old daughter Joelle; the genial and easy-going Marc Caillet; Dan and Alana Thibodeaux, the “perfect young married couple;” the cautious, quiet Abe Gerard; and the bear-like caretaker Skidmore. Such guests would make for a strange party under the best of circumstances. 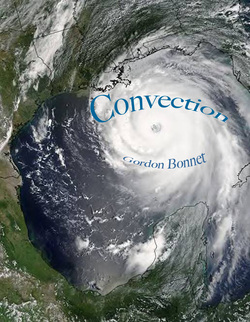 But once the hurricane hits, and the party-goers have no way to leave, they find that the party is about to get a lot stranger - and that being in the middle of a dangerous storm may be the least of their worries. Kári Solmundarson was a Hebridean Norseman who left the Hebrides as a teenager, and went to Iceland. Iceland of the 10th century was a violent place, the home of blood feuds, rivalries, and challenges to the death, and Kári was a man of his times - swayed by passion, loyal to his comrades, ruthless to his enemies. When he arrives in Iceland, he is caught up in the decades-long feud involving his friends, the three sons of Njal Thorgeirsson. When after a devastating battle, Kári is left the only survivor of the Thorgeirsson clan, he vows revenge on the men who killed his friends, a revenge that spans five countries and twenty years. Ultimately, he finds himself questioning the purpose of it all - whether pain and suffering are a reasonable tradeoff for honor and saving face. "Kári the Lucky" is based on a true story, originally recounted in the Icelandic tale "Njal's Saga." It is a story of intrigue, love, passion, loyalty, and violence, and most importantly, a story of how one man came to question the meaning of good and evil. Zach Davidson is an average seventeen year old - decent student, athlete, lots of friends. Until the day when he's in the locker room after track practice, and his teammate Andy Traylen tells Zach that he can read Zach's mind. This event starts Zach and Andy into an increasingly intense and disturbing relationship. Finally Zach realizes that he's losing everything - his privacy, his friends, his girlfriend, his status in school, and perhaps even his mind. But by the time he decides that he has no option but to sever the connection between his mind and Andy's, it may be too late to stop it. 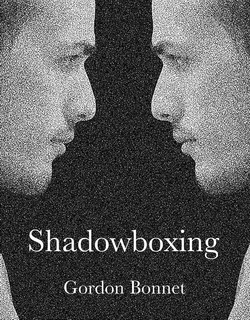 Shadowboxing is a frightening view into the mind of someone who is not certain he is sane - and as Zach begins to lose the ability to tell if what he's seeing is real, the reader will, too, until finally a climactic confrontation brings the whole thing into crystal-clear focus. Ida Peck was nearsighted. REALLY nearsighted. She had been burdened throughout her life with wearing thick glasses, and was nearly blind without them. So when her best friend, Leonie Williams, suggested that she have laser surgery to correct her vision, she thought that was a pretty appealing idea. And the surgery succeeded - perhaps too well. Because once Ida had her eyes fixed, and was able to enjoy something she'd never had before - peripheral vision - she began to see things out of the corner of her eye. Things no one else can see. Her friends and her eye doctor all tell her that this is no problem, that it happens to everyone, that she'll get used to it, that the little shadows and patterns of light you see in your peripheral vision aren't real. Unfortunately, Ida finds out fairly quickly that even if her friends can't see what she sees, the creatures in her periphery are very real indeed. Even more alarmingly, Ida discovers that once she became aware of the creatures in the shadows, they became aware of her. And when one of them starts to follow her around, and causing trouble for her and her friends, she decides that maybe having laser surgery hadn't been such a good idea, after all. 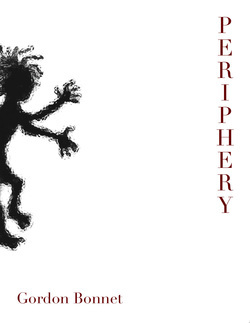 Set in the village of Broussard, Louisiana, "Periphery" is the story of three good friends, whose unflinching loyalty to each other leads them to take on the monsters that lurk in the shadows. Shane Callaghan was a graduate student, heading home to visit family for spring break, when he was involved in an automobile accident that totaled his car and left him in the hospital. 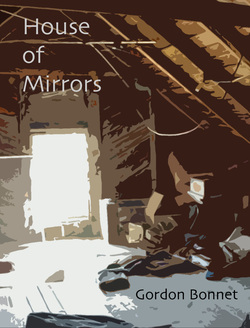 Recovering from his miraculously superficial injuries, he returned home to his apartment find that no one, not even his parents, seems to remember him - his apartment is now occupied by someone else, and every trace of his existence seems to have been systematically erased. As reality shifts every time his back is turned, only one other person besides Shane is aware of what's happening - another student, Claire Lewis, whom he had never met before being driven together by the bizarre and terrifying experience of being in a world where what things are now and what they were five minutes ago may be entirely different. Between Shane's intuition and Claire's logical, scientific mind, they work to figure out what is happening - before it's too late for them to escape it.